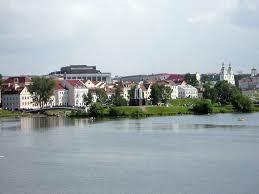 Cheap SUV Car Hire in Belarus. 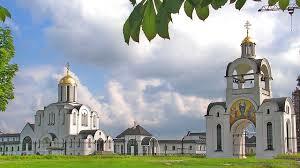 Compare reduced rates for SUV, MPB & 7/9 seater minivan rentals at Minsk Airport, in Belarus. 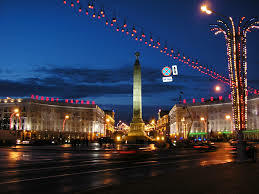 We supply a good choice of car hire in Belarus. Compare and book car rental at at Minsk Airport or downtown locations, today. 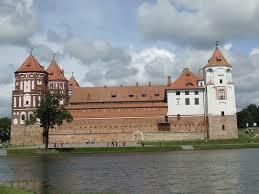 We can also help with cars at these train stations:- Brest, Gomel, Grodno, Mogilev and Vitebsk. Get quality car hire at reduced rates from our partners Avis and Europcar, who have cars ranging from small economy sized to minibuses that can seat 9 passengers with five pieces of luggage. Vehicles are located on the airport and the fuel policy is pickup full, return full. Optional extras like Sat Nav are also bookable. Belarus is known as the Blue Eyed Country (see below re number of lakes for clue. Unsurprisingly, summers are hot and winters are cold. To travel around you will need some Belarusian Ruble, currency code BYR. Found in Eastern Europe to the east of Poland, the west of Russia, the north of Ukraine and south of Latvia and Lithuania. Book cheaper minivans and SUVs for Belraus. Belarusian driving about, made easy and simple. Faster, better car hire in Minsk. Best to book MPV & SUV rental early. Compare known auto suppliers at lower rates. Belarusians is how the locals are referred to. Dial +375 to connect. If lakeside living and pottering about on boats in the summer is your thing, then Belarus is for you. Lots of lakes and lots of rivers. The main international airport is in Minsk with a handful of other airports dotted round the country. You can ski in Belarus with Logojsk being one of the most popular. Compare lower rental rates for hatchbacks, saloons, estates, MPV, 7/9 seat minivans & SUV for Belarus. During the summer, many had for the Lake Naroch National Park. Hmm, tough one as there are over ten thousand lakes in Belarus, so just walk around a bit until you find one. If walking is not your style, then just jump in a boat and see where it takes you, as there are twice the number of rivers than there are lakes. 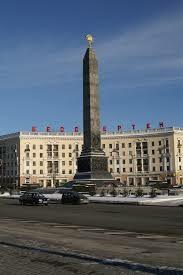 Minsk is the capital. They like their sport in Belarus and all are encouraged from an early age top participate from athletics to volleyball. Orthodox Christianity is the main one. There are about 10 million people living here.